I’ve just reread Skinner by Charlie Huston. It remains one of my favorite thrillers of recent years. Although the book ends up being a powerful warning about the current condition, along the way the reader enjoys varied vicarious thrills including much current technology: drone quadcopters, plastic guns manufactured by 3D printers, mobile robot surveillance spiders. A new siren rises and fills the square, bounding off the faces of the tall buildings. A warning that something large and powerful is coming. At the far end of the square the police line splits open and a towering blue and high-viz truck, unholy product of a mating between a double-decker bus and a fully armored Humvee, rolls through, two water cannons above a high cab, windows covered by steel screens, a broad cow catcher mounted up front. There’s a strange subset of YouTube videos: arms manufacturers’s advertisements. Carat has one for their armed Unimog. 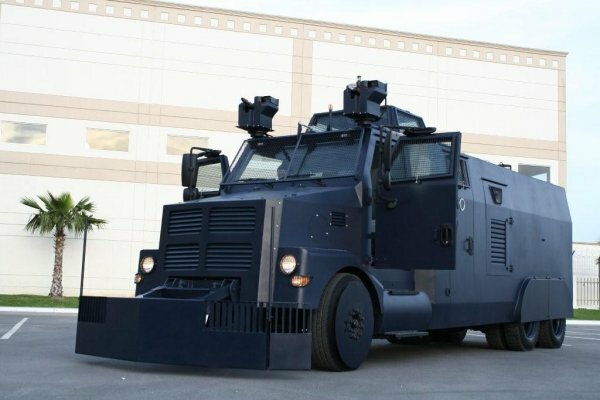 While I don’t see Carat’s armored water cannons on there yet, Alpine Armoring and IAG have you covered. When flight MH17 was shot down over Ukraine, one of the logical questions was, “What was the gear?” Investigators decided it was a Buk SA-11 missile. After MH17, I’m sure the military leaders of every country watched the YouTube video and picked up the phone to call Almaz – Antey. High-tech armament is notoriously fussy and unreliable, but now there was proof that the Buk SA-11 was a solid investment. CNN anchor Rosemary Church was first criticized then fired for suggesting the use of water cannons in Ferguson. But what was used eventually seemed even more devastating. Questions were asked everywhere about the high-tech military gear. Where the heck did all that stuff even come from, anyway? The answer was Homeland Security grants and the Defense Department’s 1033 program. Even if you are a just a small-time small town police chief, don’t worry, you can still afford to arm your team with shock and awe. “The Pentagon finally details its Weapons for Cops giveaway” at the Marshall Project. I’ve spent some time reading about Bozeman’s debate about their new BearCat. They are keeping it, unfortunately: Apparently the tearful pleas from the cop’s wives at the town hall meeting sealed the deal. 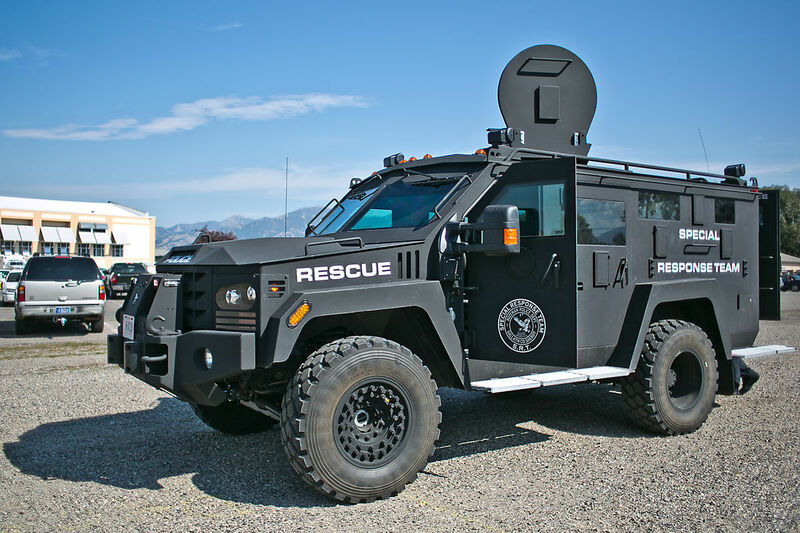 The prevalent usage of rescue in the media now is lipstick on a warhorse, just 11th-hour spin, and the city manager’s unflagging repetition of it has become an insult to our intelligence. The BearCat has a turret and at least 10 different “gun ports.” This vehicle wasn’t designed for handing out medical supplies or basic human necessities; it was built for killing.